Apple and Samsung are back in court this week for a damages retrial that will determine just how much Samsung has to pay Apple for infringing on Apple design patents. Samsung was found guilty of violating the patents back in 2012, but the two companies have been fighting over the amount of money Samsung should pay as a result for the last six years. The core issue between the two companies is whether the damages should be based on the total value of the device, or whether Samsung should pay a fee based just on the elements of the phone that it copied. Apple is of the opinion that its payment should be based on the full value of the iPhone, while Samsung is arguing that it should pay a lesser amount based only on a portion of the iPhone's value. "They're seeking profits on the entire phone," argued Samsung lawyer John Quinn. "Apple's design patents do not cover the entire phone. They are entitled to profits only on [infringing] components, not the entire phone." Yesterday was spent picking jurors, while opening arguments and testimony started today. Key Apple executives like Tim Cook and Jony Ive will not be testifying during the trial, but Richard Howarth, senior director of the Apple Design Team will discuss the design process, and Susan Kare will also take the stand to talk about user interface graphics design. Apple vice president of product marketing Greg Joswiak was first up to testify this afternoon, where he said that the design of the iPhone is central to Apple's products and that Apple took a huge risk with its development. Back when the verdict of the lawsuit was originally decided in 2012, Samsung was ordered to pay $1 billion, but that was eventually reduced to $548 million. Of that $548 million, which Samsung paid to Apple in 2015, $399 million was earmarked for the design patent infringements. Samsung at the time argued that it had been ordered to pay a "disproportionate" sum for the design violation, and appealed to the Supreme Court for reduced damages. Samsung's appeal was somewhat successful, and the Supreme Court ordered the U.S. Court of Appeals to redetermine the amount Samsung owes Apple for the design patent infringement, which leads us to the trial that's taking place this week. Apple is asking for a $1 billion award from Samsung during the damages retrial this week, and has argued that while it's a lot of money, "Samsung infringed millions and millions and millions of times." Samsung, meanwhile, has asked the jury to limit damages to $28 million. Funny how Apple thinks it should be full value of the phone. For Qualcomm they think their royalty should be based on a component, not price of device; even though their signed a contract that says otherwise. They want whatever works for them, even if it is contradictory. Since this trial first started I've graduated from college, worked three different jobs, moved three times, bought my starter home, sold my starter home and bought another home, my wife started her own business, and we've had two children—the first of which will be starting school next year. I hardly recognize my life, much less the world we live in today compared to 2011. And Apple is still suing Samsung for the same $1,000,000,000. WAT. This is beyond asinine. Apple give it up ffs. Did you guys miss the first paragraph, second sentence of the article? Samsung was found GUILTY of violating Apple’s patents. I’m pretty confident if any company was found guilty in court of violating patents you owned, you’d want your damn money ASAP. Instead of spending all the money on Inside and Outside Counsel maybe you could throw a couple of bucks at Siri? 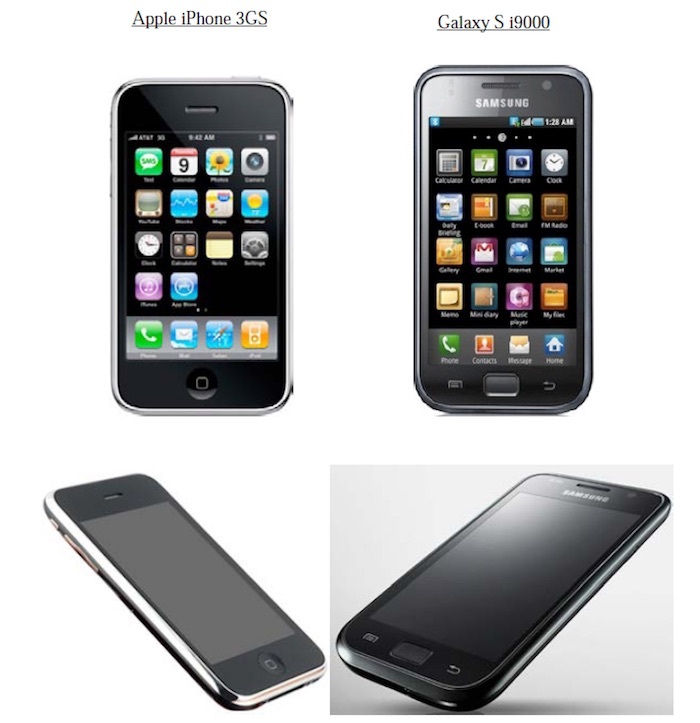 Samsung's entire smartphone business is predicted on ripping off Apple's designs. There was nothing like a keyboard-less, touch full-screen pocket computer/phone with apps before Apple made the iPhone. Apple spent years and a huge amount of their money coming up with a revolutionary design, figuring out how it would work and how to make it. They bet the company on it. It was a huge gamble that everyone said was doomed to failure. Less than a year later Samsung's got their own b-grade phone so closely copied on Apple's designs that they look and behave almost the same. That's what this lawsuit is about. Samsung should design their own damned phone, or else pay Apple for having designed it. Apple; if you can't innovate, litigate. Either that or steal, Apple is shameless about that. Is this the ridiculous Apple round corners patent?